I am pleased and honored to be a part of the premier wine festival in Colorado. This event is held in Palisade, Colorado with orchards, vineyards, and dramatic mountains as a backdrop. Look for Hawks Ridge Pottery in space #73 on Saturday, September 15th from 10-5:30. Please join us for our Market. 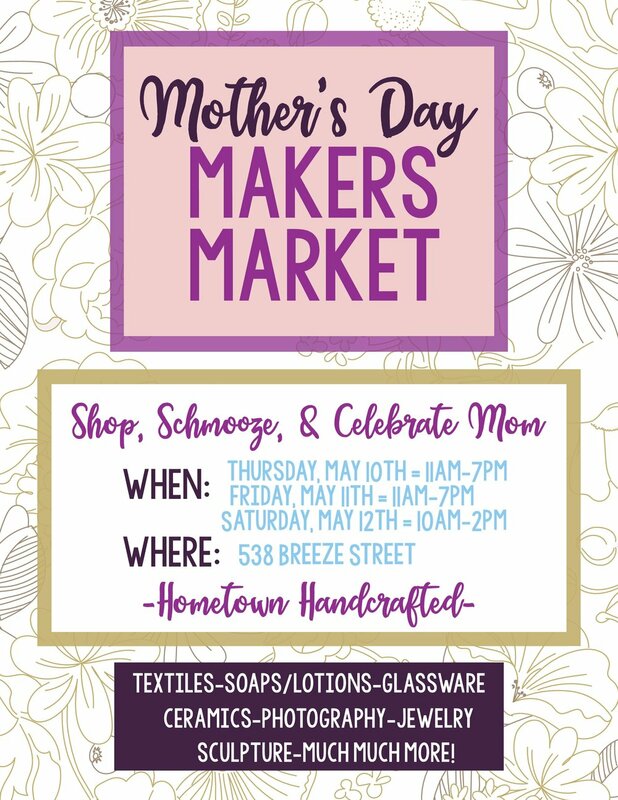 We will have local makers, refreshments, photo ops with mom, and more. The Sombrero Horse Drive is an annual event. The horses that belong to the Sombrero Ranch spend their winter pasturing in Browns Park. In the spring they are moved back to the home ranch. While the actually drive is a 5 day event, it culminates on Sunday, May 6th as the horses are being herded down Highway 40 through the middle of Maybell, Colorado! I will be joining the many artisans that are in the park with locally crafted goods, food, and activities for all. Join me for class @ Yampa Valley Fiberworks!